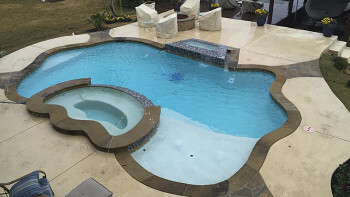 While swimming pools are the bread and butter of Ultimate Pools, they are just the start of the services that us and our partners can provide. We’ve recently gotten into home kitchens, complete with the help of Jeff Thayer from Well Done Building Projects. 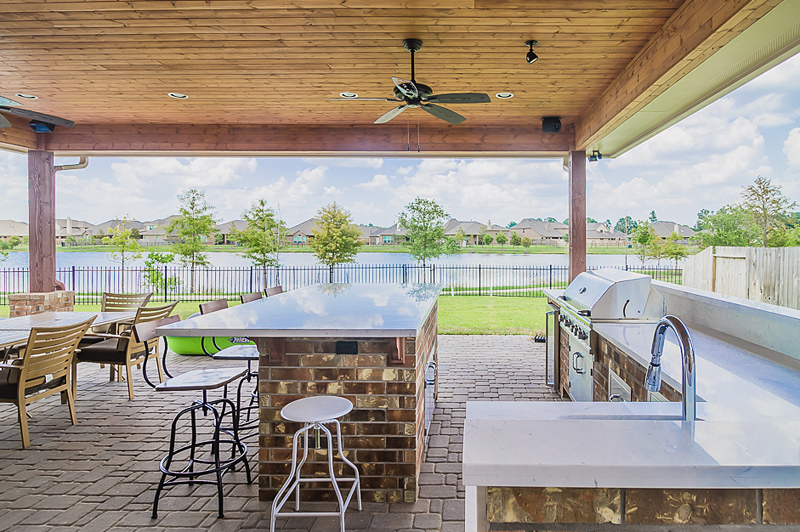 An outdoor home kitchen, complete with a grill, sink, seating area and entertainment, makes your pool a great place for a “Staycation.” Therefore, Thayer has joined us to talk about the elements and the essence of home kitchens. The last decade has seen a huge rise in the popularity of these kitchens, as homeowners are increasingly looking to add value to their home instead of buying a new one. 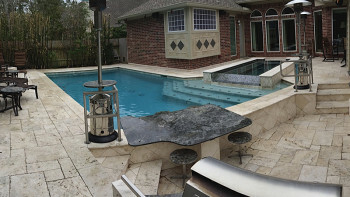 While swimming pools are part of this process, a home kitchen increases property value and home enjoyment that much more. 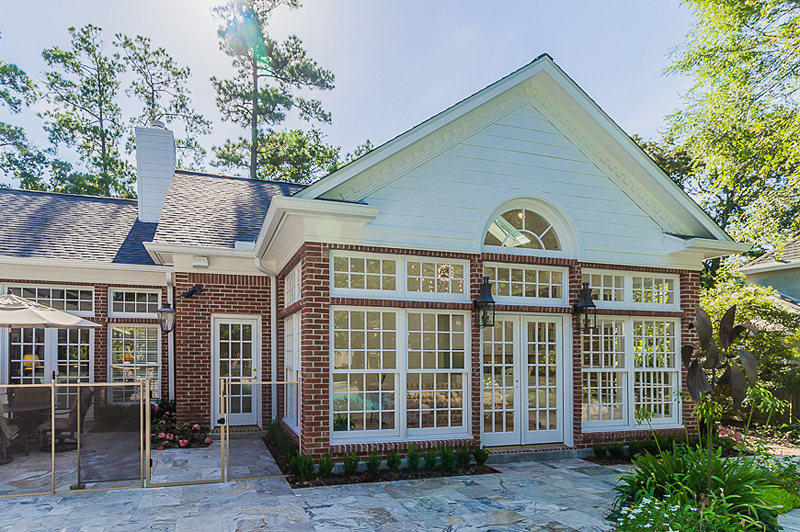 According to Thayer, new homes are starting to adjust to the home kitchen trend. 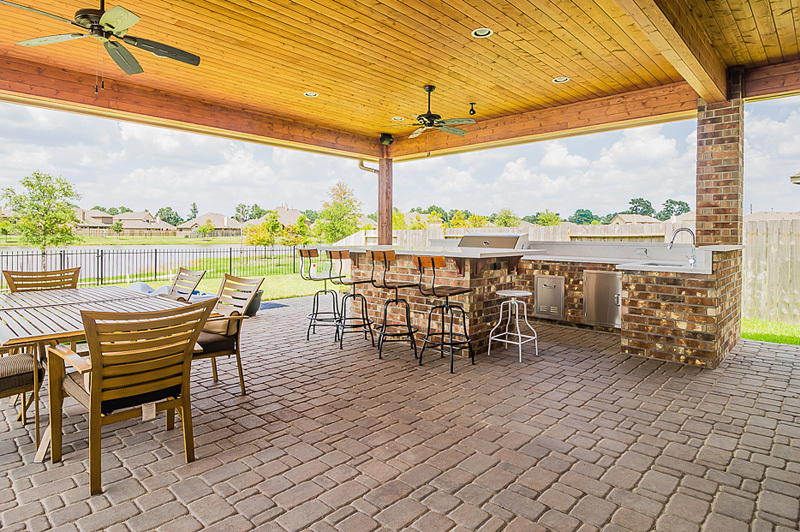 Many houses that are being built come with provisions for outdoor kitchens and similar additions, making the job easier. That job can be done either with a detached kitchen with a gazebo roof or with a kitchen that is attached to the house. 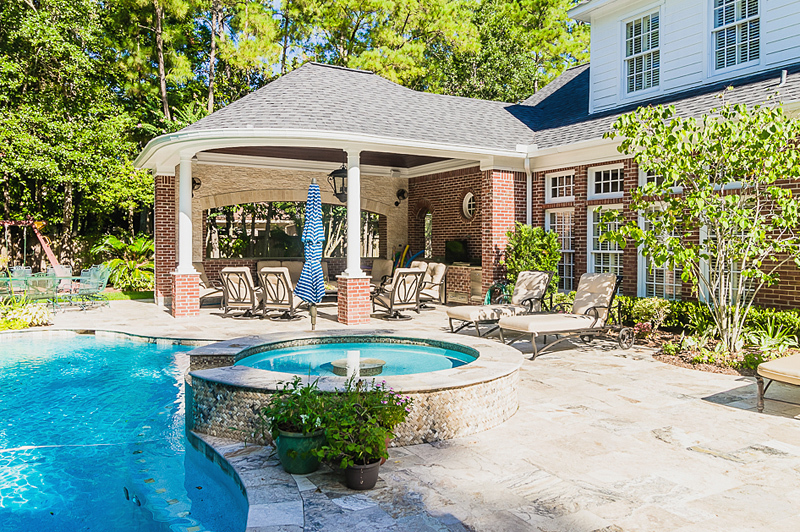 Pool houses are also a popular request. 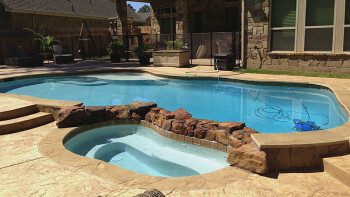 When paired with a swimming pool, it creates an outdoor paradise that homeowners don’t want to leave. 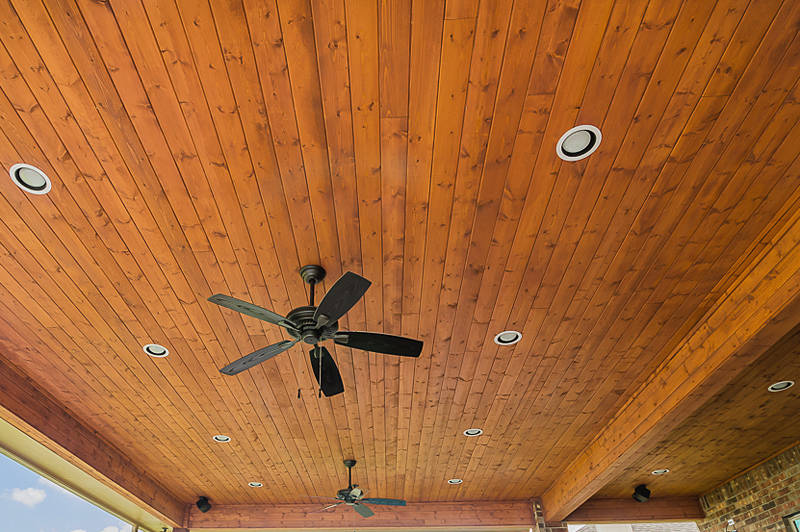 Thayer works with our customers to draw up the ideal plans and with decorators to provide the best look. 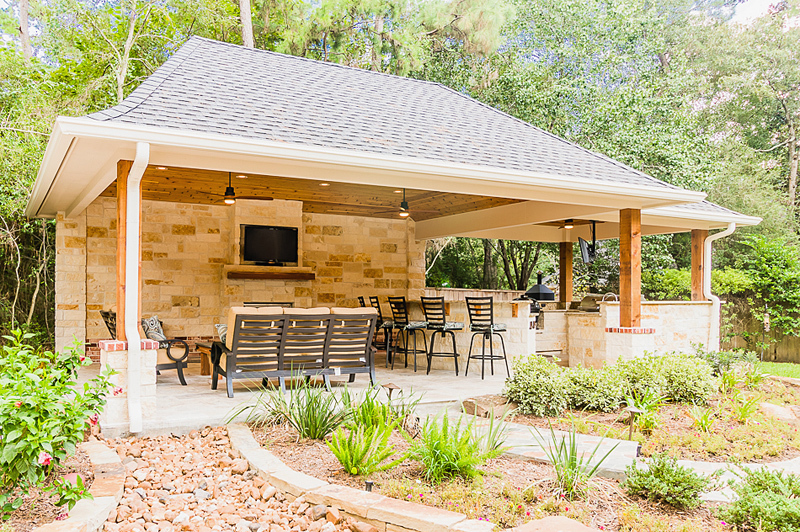 Gazebo roof and detached walls: Just because the home kitchen is outdoors doesn’t mean it’s completely open to the elements. 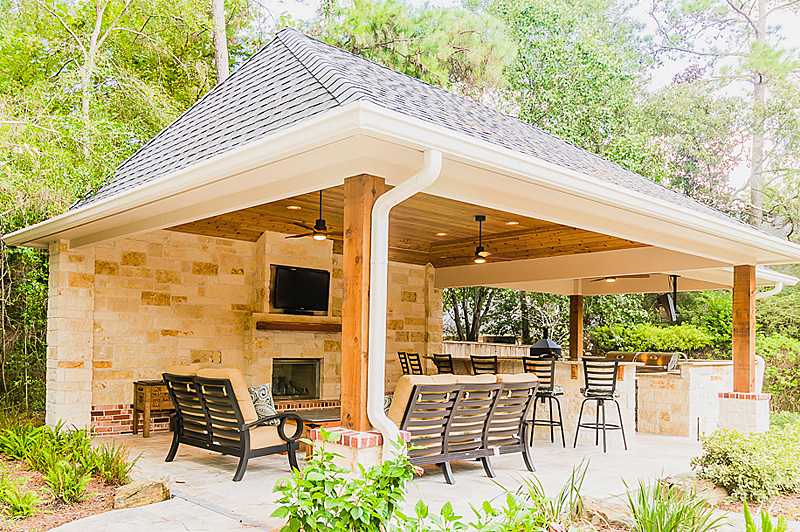 Gazebo roofs protect your kitchen, porch, and seating area from the elements, be it hot sun or rain and wind. The detached walls also provide a bit of a separation from the main house. 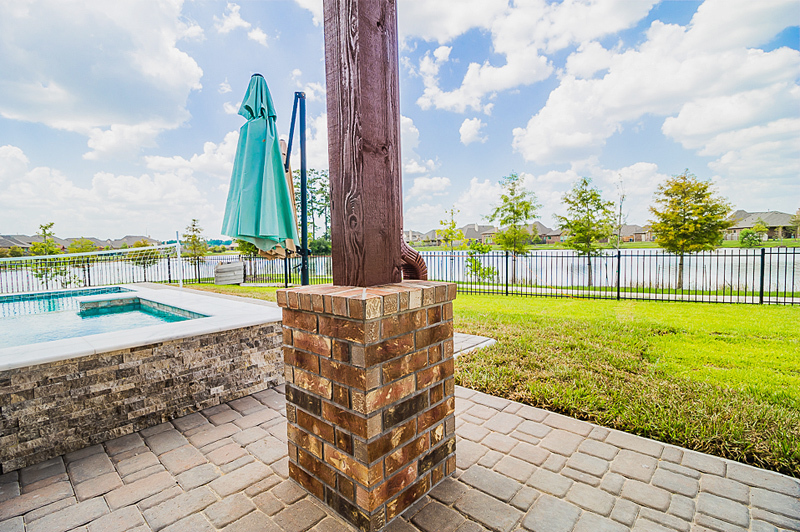 The roofs have a stained cedar column foundation with wood colors that match the house. As for the walls, those are variable to the customer’s needs. Some want their kitchen completely enclosed; others want it completely open. 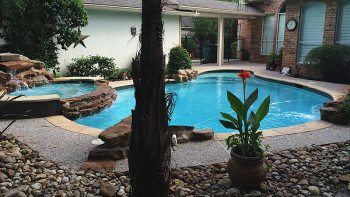 The usual design is for 2-3 detached walls — made of cinder block or brick — with some open space. 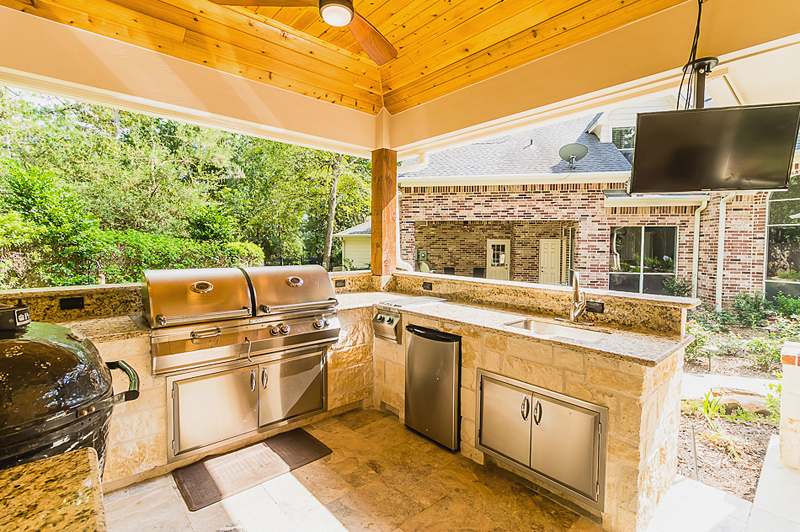 Grill: You can’t have an outdoor kitchen without having anything to cook on, so let’s start with a grill. According to Thayer, the default grill is 36 inches, but larger sizes are available for an increased fee. Larger grills can go five to six feet long. Most customers request a sideburner, which is good for boiling crawfish or making sides to go along with the main course. 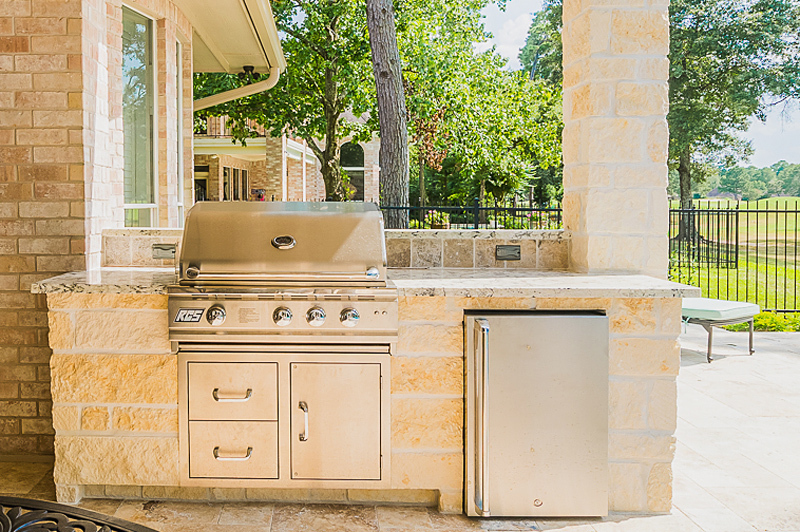 Most grills come with affixed storage areas for utensils and sinks for after-dinner cleaning. Some homeowners also request an area for a mini-refrigerator or freezer. All of these elements are typically stainless steel, making them resistant to elements and easy to clean. 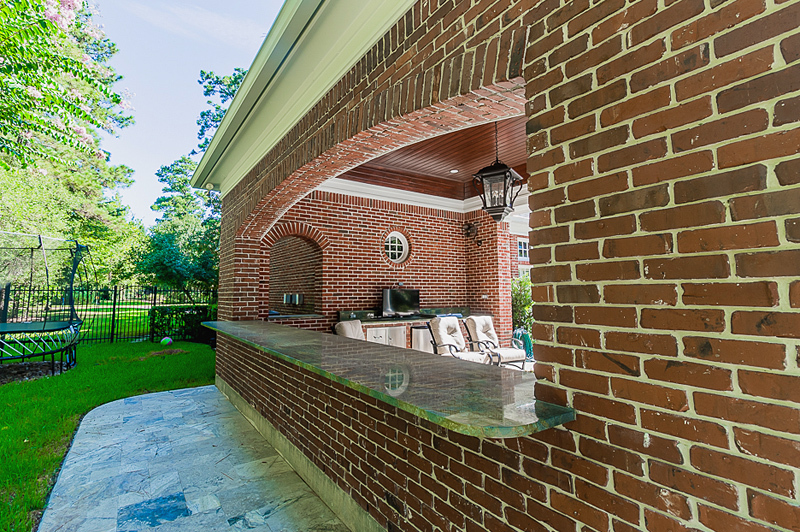 The stainless steel grill is built into a greater kitchen area that is made primarily of cinder, brick or cultured stone. These stones are picked to match the house so the kitchen and home are an external match. 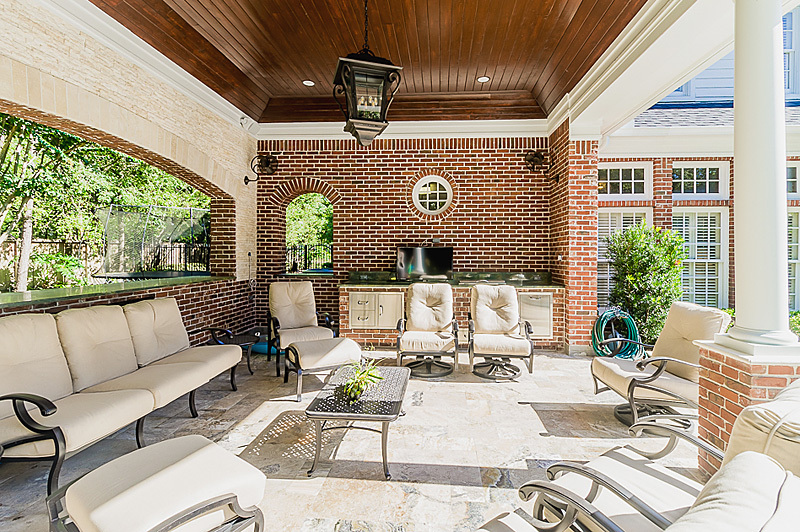 Porch: One of the fundamental elements of home kitchens are a porch. 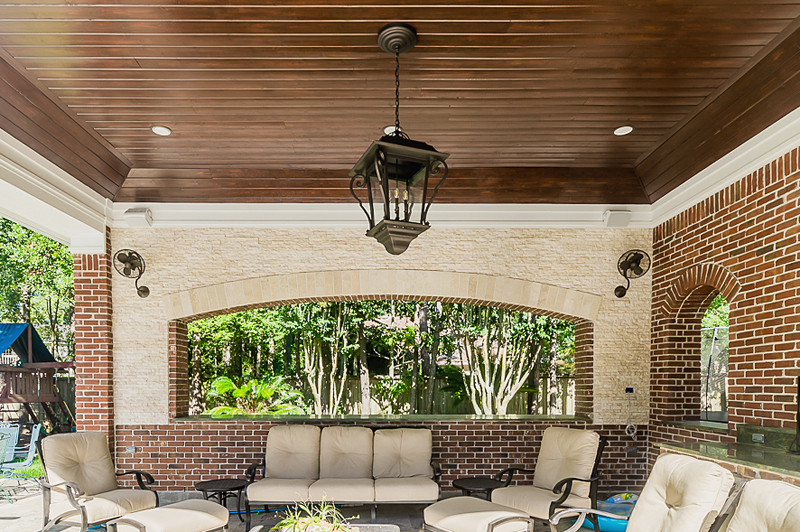 These porches are constructed with a variety of veneer stones, tile or travertine and provide a surface for your seating area. Having a nice walking area, and an area for tables and seating, is essential. Whether you want a classic kitchen table or a living-room environment, seating areas are important. 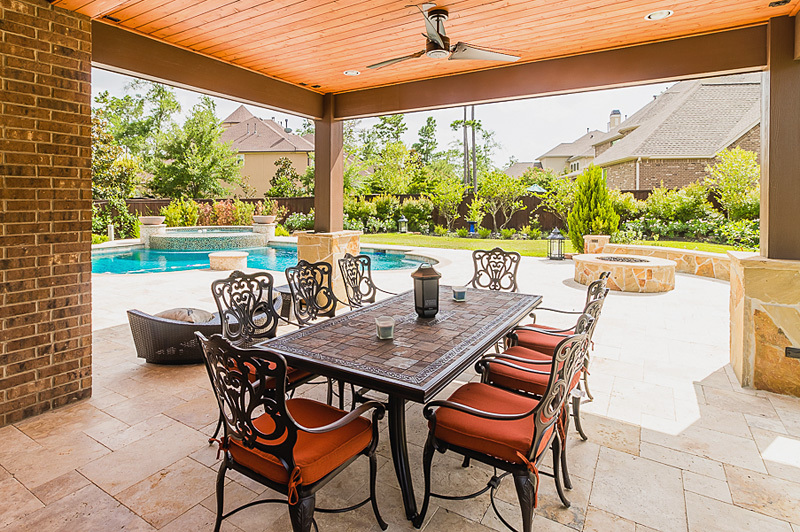 These areas, also known outdoor living areas, create a home outside the home that’s visible from your house. That provides an attractive area for you to relax and unwind in. These areas are also where homeowners can get creative with their home kitchens. Here are some popular perks. Televisions: Roughly 50 percent of customers want a television outside in their home kitchen, so the kitchens are designed it to incorporate such a thing. Either way, home kitchens can turn into home entertainment centers. You can watch the game, grab a beer from the outdoor fridge and ice from an icemaker. It’s not a bad way to live. 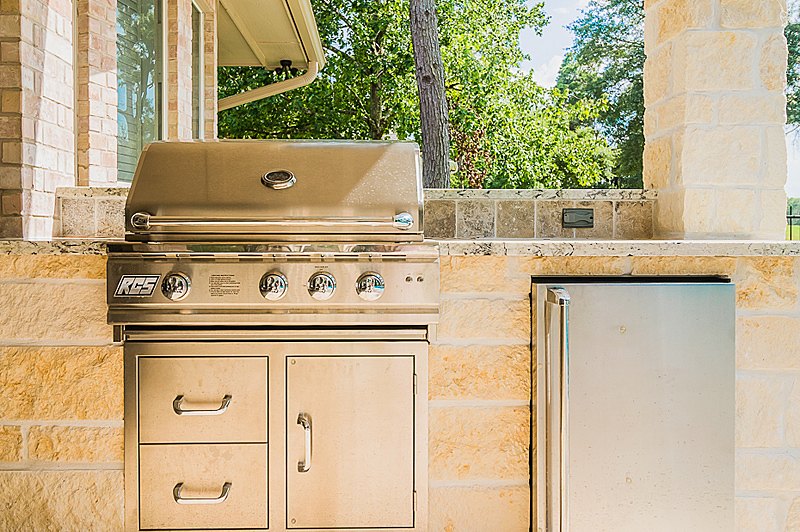 Fire pits and fireplaces: These add to the vacation feel that is essential to a home kitchen. You can sit around a fire pit and cook s’mores or cuddle around the fire as if you’re at a ski lodge. 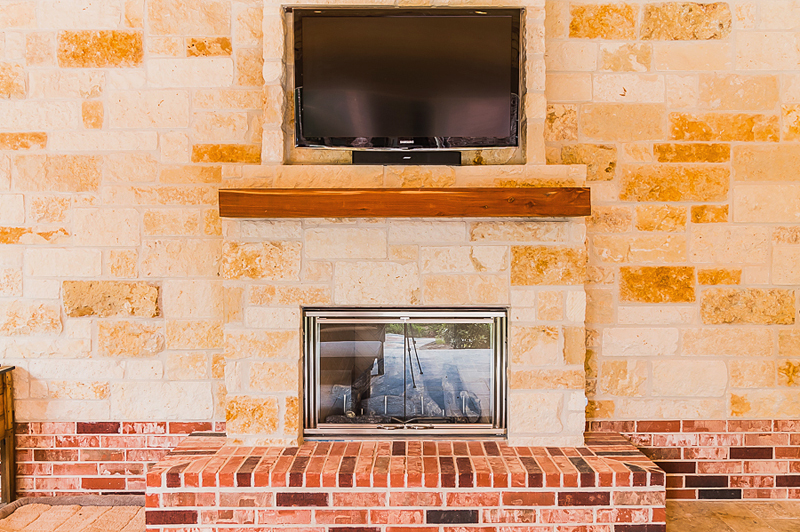 Fireplaces can be built into the benchwalls of the outdoor pavilion to create a classy ambience. Light fixtures: Wiring lights around your home kitchen not only allows you the ability to work outside at night, but also allows you to change the vibe. 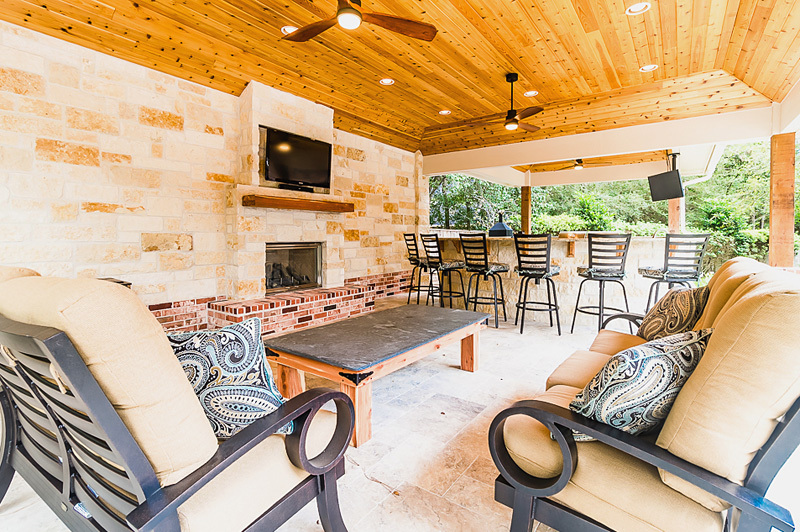 If you’re looking for romance or to party, light up your outdoor pavilion in style.